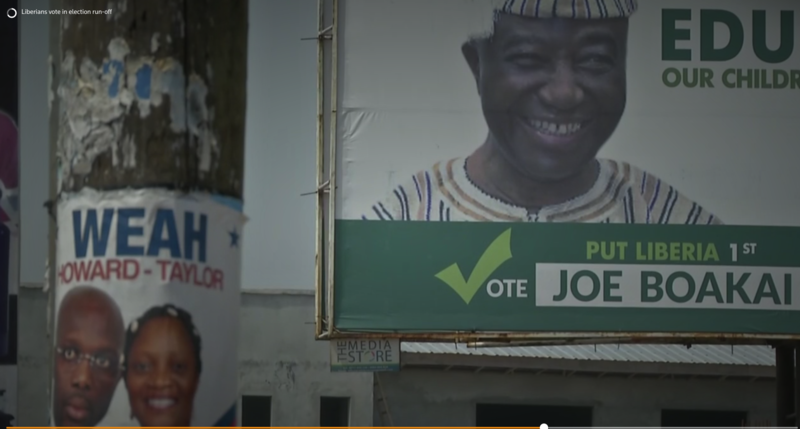 There were no early reports of violence as voting proceeded under sunny skies in the capital Monrovia, with polling stations opening at 0800 GMT and election agents telling Reuters first indications pointed to a lower turnout than in the first round. Johnson Sirleaf’s 12-year rule cemented peace in the West African country after civil war ended in 2003, and brought in much needed aid. But critics, including much of the country’s youth, say her administration was marred by corruption and that she did little to raise most Liberians out of dire poverty. Liberia was also racked by the Ebola crisis, which killed thousands in the country between 2014 and 2016, while a drop in iron ore prices since 2014 has dented export revenues. Tuesday’s poll follows a month of political tensions fueled by claims that the first-round poll was rigged in Weah’s favor. Weah, world footballer of the year in 1995, won with 38 percent versus Boakai’s 29 percent. “I voted George Weah because I believe that he will do better for me and my country. I want change,” said Miama Kamara, a 32-year-old businesswoman, before casting her ballot in the capital. Boakai’s ruling Unity Party had accused Johnson Sirleaf, who is herself a member of the party, of interfering in the October vote by holding private meetings with election magistrates. Boakai has found it harder to convince voters that he will bring change, given that he worked alongside Johnson Sirleaf for 12 years. Weah, by contrast, has won the hearts of mostly young Liberians through his star performances for Europe’s biggest football teams in the 1990s. His arrival at a polling station in Paynesville was met with cheers by a crowd of supporters. Some however are wary of Weah’s lack of political experience, education and concrete policy.